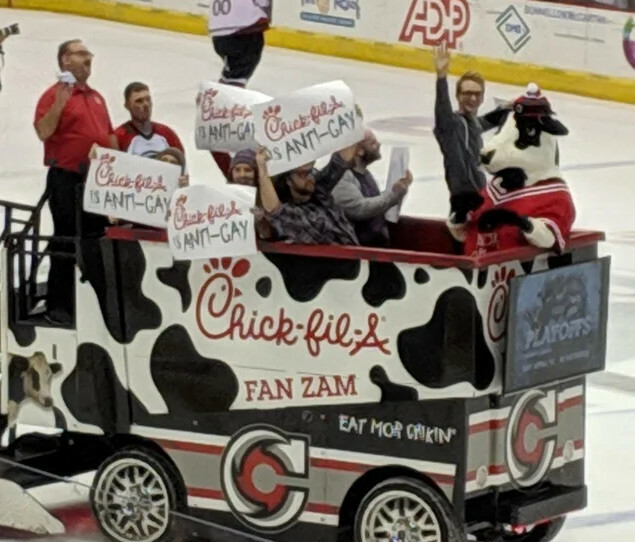 More free publicity for Chick-fil-a. Way to go gays! Nice try, your account has not only defended Chik Fil Et, but also defended every anti-LGBT republican out there. So if you don’t like what they did, sounds like they’re on the right track. And, advertising a rabidly pro Xtain, anti- gay, Muslim, every one else, fund raising machine IS family-friendly??? These people are awesome. Remember glitter bombs. Lol.